Holder will become the first African-American to head the Justice Department and the only black in President Barack Obama's Cabinet. Eric Holder won Senate confirmation Monday as the nation's first African-American attorney general, after supporters from both parties touted his dream resume and easily overcame Republican concerns over his commitment to fight terrorism and his willingness to back the right to keep and bear arms. Holder's chief supporter, Sen. Patrick Leahy, said the confirmation was a fulfillment of civil rights leader Martin Luther King's dream that everyone would be judged by the content of their character. "Come on the right side of history," said Leahy, D-Vt., chairman of the Judiciary Committee. Holder becomes the only black in President Barack Obama's Cabinet. Three other African-Americans were named to top administration positions, but are not Cabinet secretaries. Holder was a federal prosecutor, judge and the No. 2 Justice Department official in the Clinton administration. Even his critics agreed that Holder was well-qualified, but they questioned his positions and independence. The debate turned partisan in its first moments, when Leahy, expressed anger that a few Republicans demanded a pledge from Holder that he wouldn't prosecute intelligence agents who participated in harsh interrogations. Leahy singled out Texas Republican John Cornyn as one who wanted to "turn a blind eye to possible lawbreaking before investigating whether it occurred." "No one should be seeking to trade a vote for such a pledge," Leahy said. 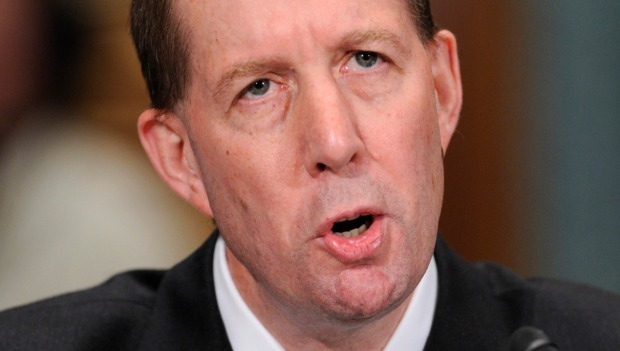 When Cornyn rose to announce his vote against Holder, he did not make such a demand. However, he accused the nominee of changing his once-supportive position — on the need to detain terrorism suspects without all the rights of the Geneva Convention — to one of harshly criticizing Bush administration's counterterrorism policies. "His contrasting positions from 2002 to 2008 make me wonder if this is the same person," Cornyn said. "It makes me wonder what he truly believes." Cornyn and Sen. Tom Coburn said Holder was hostile to the right of individuals to own guns, despite a Supreme Court ruling last June affirming the right to have weapons for self-defense in the home. 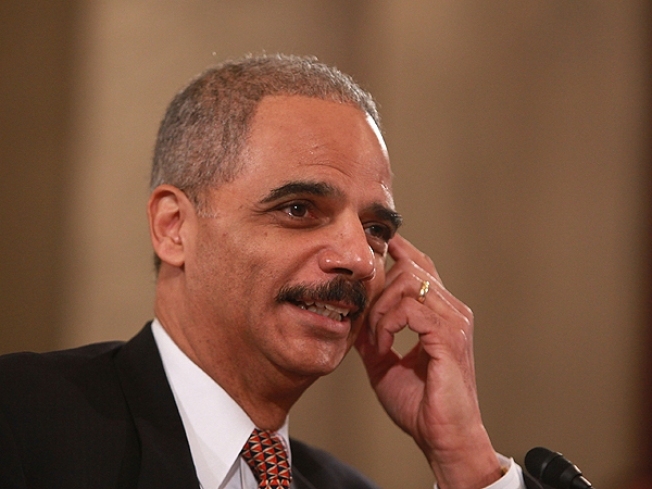 Holder said at his confirmation hearings: "I understand that the Supreme Court has spoken." But he added that some restrictions on guns could still be legal. Holder's confirmation will trigger reviews — and changes — to the most controversial Bush administration policies, from interrogation tactics to terrorism trials and warrantless surveillance. Those are some of the known issues. Even Holder doesn't know what he'll find when he looks at secret memos in the Justice Department Office of Legal Counsel. Holder also will have to rehabilitate a department that under President George W. Bush was criticized for injecting politics in hiring career officials and firings of U.S. attorneys. He'll have to decide whether to prosecute Justice Department officials who may have violated the law in some of those policies and tactics. Holder also could reverse Bush's orders to former aides not to testify before Congress on their private advise discussions on the U.S. attorney firings. To the satisfaction of Democrats and consternation of some Republicans, Holder told his confirmation hearing, "Waterboarding is torture." The statement about an interrogation technique that simulates drowning was an important signal of a policy change from Bush's view that the tactic was legal and not torture. Obama issued an executive order to close the U.S. detention center at Guantanamo Bay, Cuba, within a year. He also created a special task force, co-chaired by the attorney general and the secretary of defense, to review detainee policy going forward. The group will consider policy options for apprehension, detention, trial, transfer or release of detainees and report to the president within 180 days. One of Holder's most intriguing missions will be to review the Office of Legal Counsel, whose lawyers justified the use of controversial interrogation tactics and viewed themselves as attorneys for the White House. The Justice Department's inspector general, in a report on the removal of nine U.S. attorneys, said the legal counsel's office — in effect — thumbed its nose at department internal investigators and refused to provide a crucial document. The office stated the White House counsel's office directed it not to provide the information. Holder also said he would review why career prosecutors in Washington decided not to prosecute the former head of the department's Civil Rights Division. An inspector general's report last month found that Bradley Schlozman, the former head of the division, misled lawmakers about whether he politicized hiring decisions. The three former top aides to Bush — Karl Rove, Harriet Miers and Josh Bolten — have declined to testify about the U.S. attorney firings on orders from Bush while he still was in office. Rove and Miers at the time were former aides, raising the question of whether White House aides no longer in government could be compelled to testify. If Obama reverses Bush's policy, it would create a new legal issue: whether a former president's order against testifying would still be valid. Holder also will likely review civil liberties issues including warrantless surveillance, and he has said he will re-examine a ruling by former Attorney General Michael Mukasey that immigrants facing deportation do not have a right to government-provided lawyers.